As silly as it sounds, my feet were completely aching and in need of major rescue. Some places were bleeding, and all areas of my feet, top to bottom, were stingy and inflamed. Luckily I added a few herbal wound poultices to my first aid kit to treat this sort of thing. 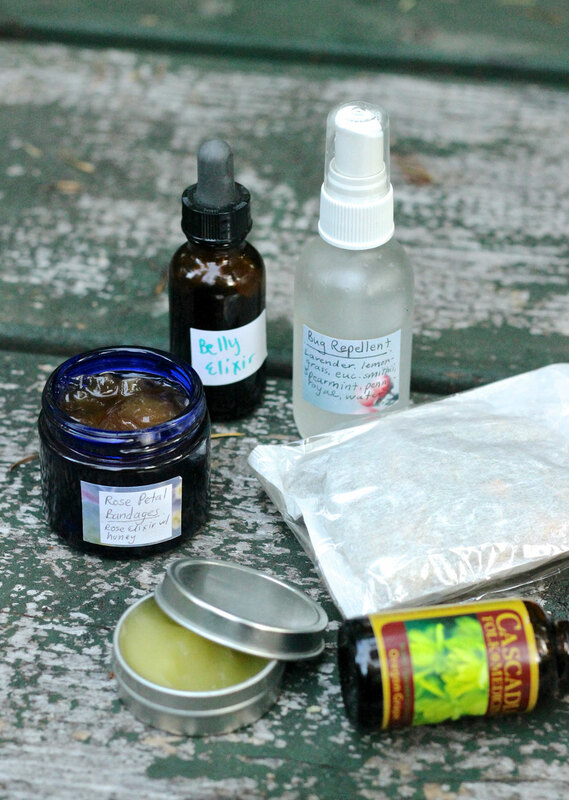 I kept it simple and used my favorite indispensable herbs for topical healing. Calendula – Calendula officinalis. General skin healing, antimicorbial. Great for chaffed or cracked skin, particularly in damp or congested areas. Comfrey Leaf – Symphytum officinale. Tissue healer extrodinare. A ooey-gooey, demulcent herb to coat and seal broken skin. Yarrow – Achillea millefolium. Healer of crack, cuts, bruises; stops bleeding. Removes blood stagnation from the area and also anti-microbial. Mix herbs together in any ratio you please. Add 5 tablespoons to a large tea bag, muslin bag or wrap in thin cotton cloth. 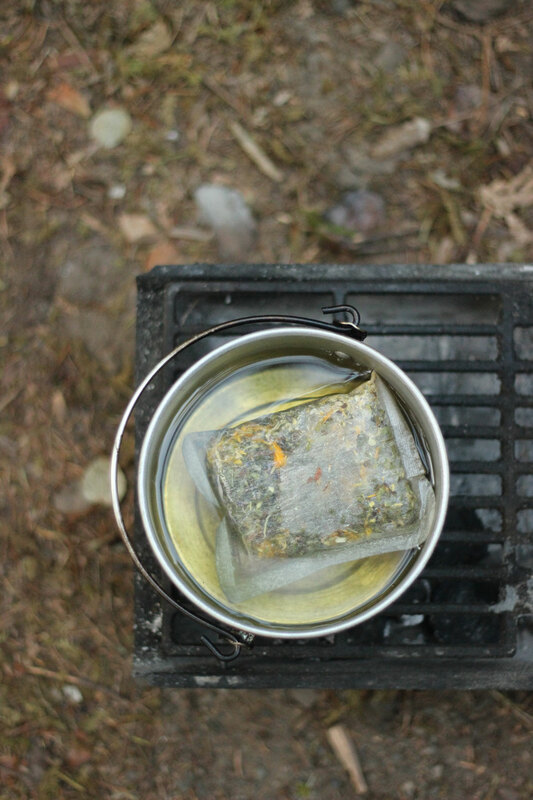 Add poultice to just boiled water and let steep, covered, for at least 20 mins. I let it steep about 45 mins. Add the poultice to the affected area. 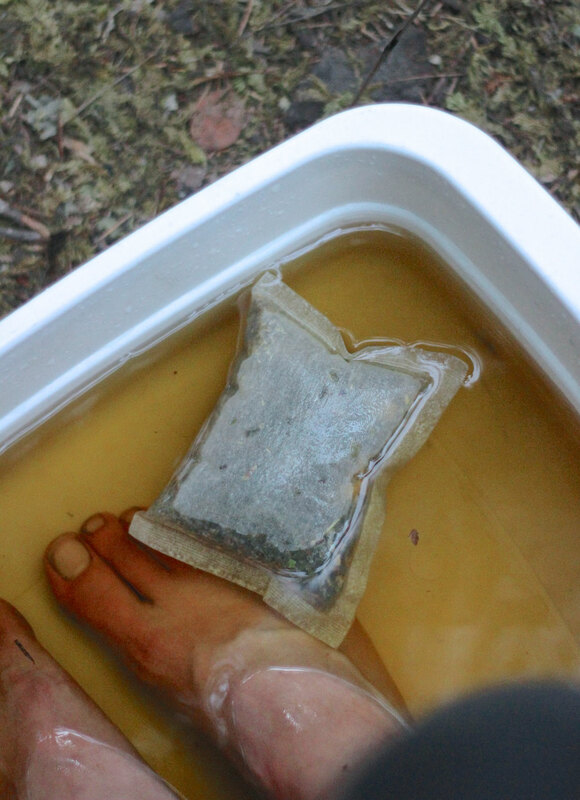 Alternately, I created foot bath in which to soak my feet in the strong tea, then placing the tea bag on directly on the wounds on my feet. Soak the area for 20 mins. 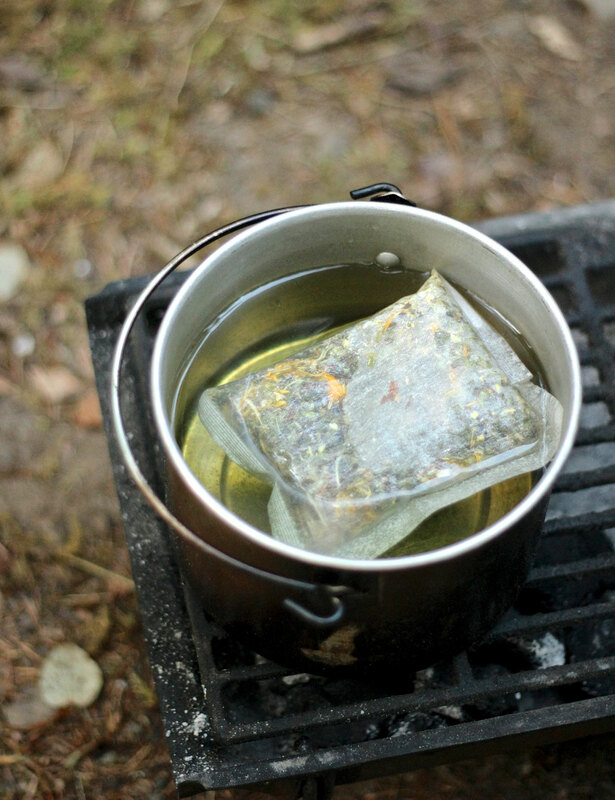 When using a tea bag on a wound, place it back into the hot water when cool. The strong herbal tea foot bath did the trick. 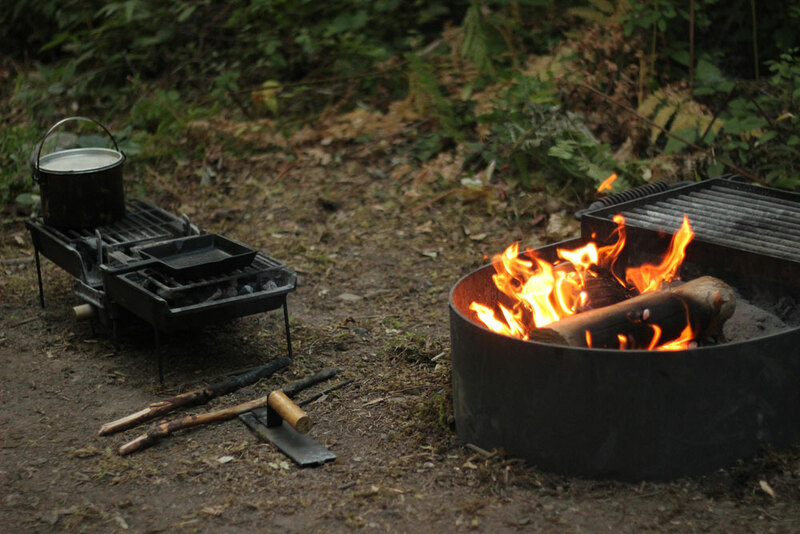 It was both soothing to the irritated tissue and cleansing, which is always useful while camping. The bleeding stopped, the areas of broken skin looked much less red and the swelling decreased. I followed the soak with a massage of a moistening healing salve and rested for them for the remainder of the evening. The next day when I put my sandals was the real test. Could I hike another day without ruining my feet yet again? Luckily my feet felt completely better. This poultice can be used for all sorts of skin irritations, bruises, strains and (God forbid) strains. 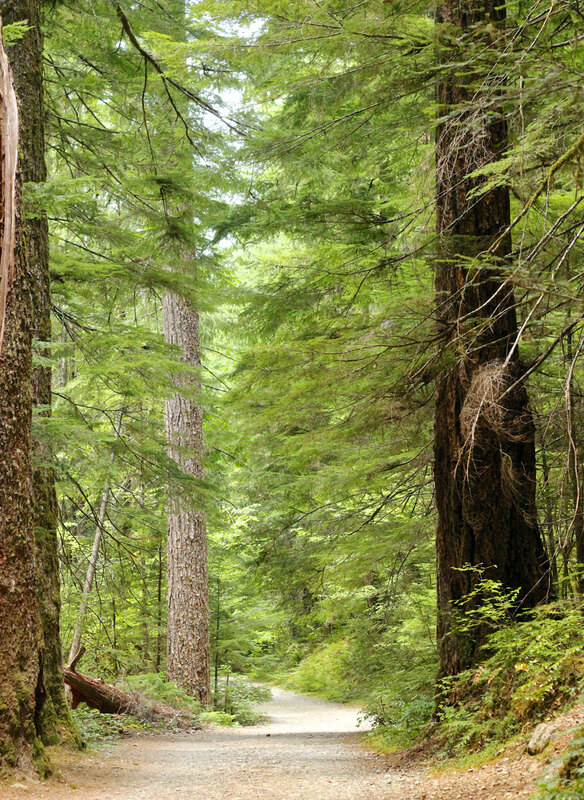 While out on the trail, keep a small thermos of boiling water ready for any herb-steeping emergencies. I have used this for things from postpartum sitz-baths, healing after surgery, bruises of all sorts, diaper rash (a favorite), skinned knees and so on. Of course, the herbs can be changed to address your particular needs, but Yarrow, Calendula and Comfrey are a great place to start. Some of my favorites – great post!